1874 Black Hills "Custer" Expedition image by W.H. Illingworth. (Much more information in the book "Exploring With Custer" at http://www.custertrail.com). 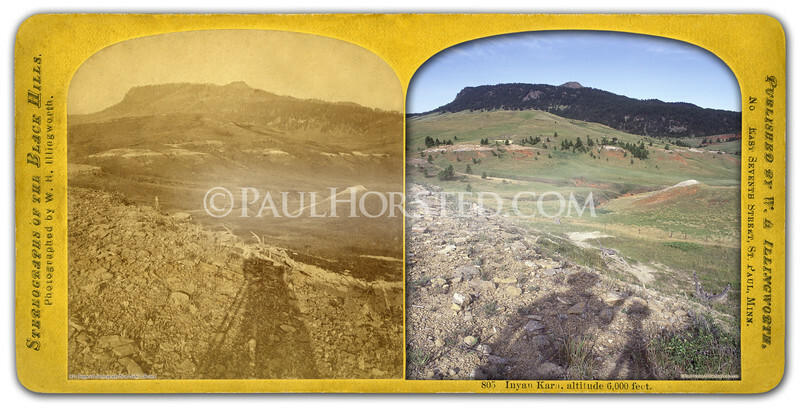 Shows a view of Inyan Kara mountain just west of Black Hills, in Wyoming. Photographer's shadow in foreground. Historic image courtesy Brian Bade. ©Paul Horsted, All Rights Reserved.